Auglaize County Libraries has recently received a wonderfully generous donation for the Arby's Restaurant in Wapakoneta to enhance technology available for patron use. As a system, we are excited to announce that with the monies provided by Arby's, our libraries are now home to extra-large 24" Nabi Big Tabs. 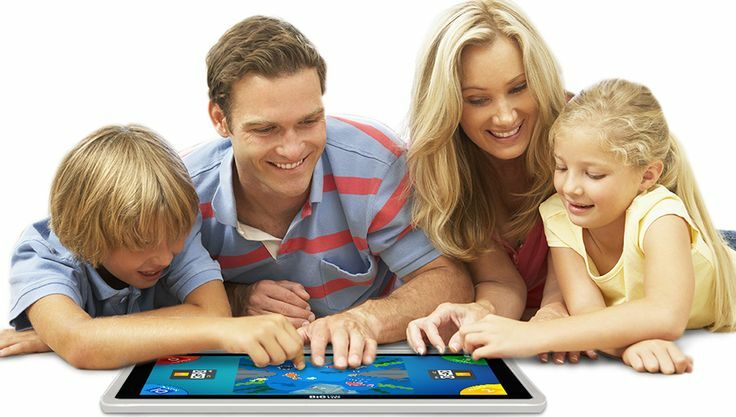 These enormous tablets have multi-generational appeal and are perfect for family play. Each tablet comes loaded with five different play modes: Digital Storytime, packed with interactive books and media; Show Time, featuring Disney and other show episodes; Two Play, perfect for head-to-head competition with two players; Game Room, games for up to 4 players; and finally Big Canvas for creating huge works of art. The tablets are now available for use within the libraries. Thank you, Arby's, for sponsoring this new technology. The Big Tabs have been featured in The Lima News as seen here.